Something that I love to do is watch light. So keep that in mind, if you ever see me staring blankly at an object for an extended period of time or watching how the leaves of a tree dance in the sunlight on a breezy day. The way light falls on things in different situations can be studied and then drawn upon later when the need arises. When I am in the role of Director of Photography (DP), there is a huge responsibility to make things look appropriate, and more often than not, time limits the amount of lighting design that can be done for certain scenes. For the barn scene in Give up the Ghost (GUTG) I met with the Director Rob Lindner weeks ahead of time and we walked through what he was hoping to achieve in the space. I was able to provide artistic input and then develop a plan of execution for lighting the space. This was the only location where we would be using lights as all the other scenes in GUTG were being shot outside with reflectors and bounce cards being our light modifiers. Here is a photo showing the location of the lights. 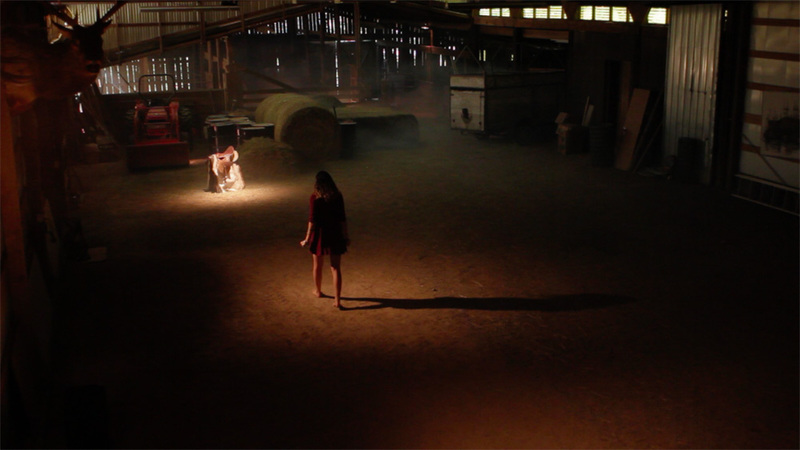 The Barn scene needed to be dark, but not too dark or we would not be able to see anything or follow the action taking place. 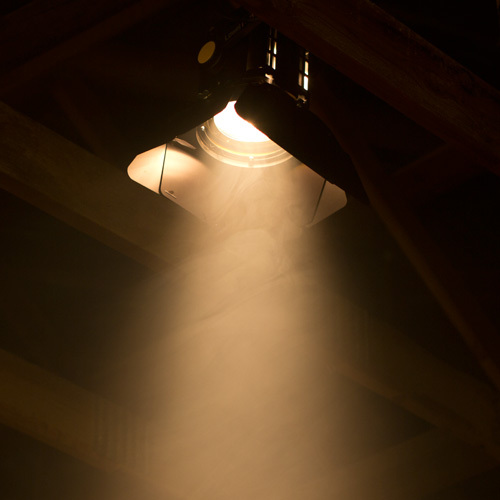 I do not want to give away too much of the plot, so let me move on to breaking down the lighting that we used in the barn for the initial long shot. With the help of SFN member Roger DeClements I was able to execute my lighting plan in about 3 hours. 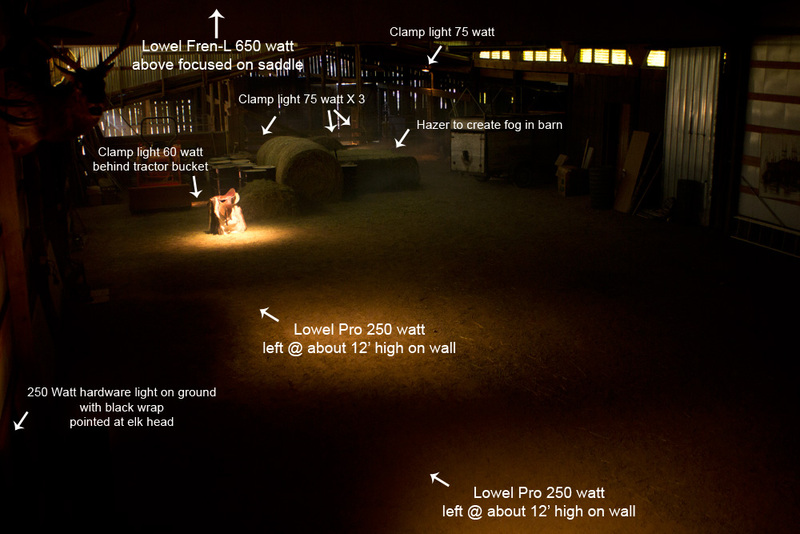 What lights were used for the barn wide shot? Some of the lights listed above are not visible in the diagram as it was a panning shot and they appeared earlier in the frame. 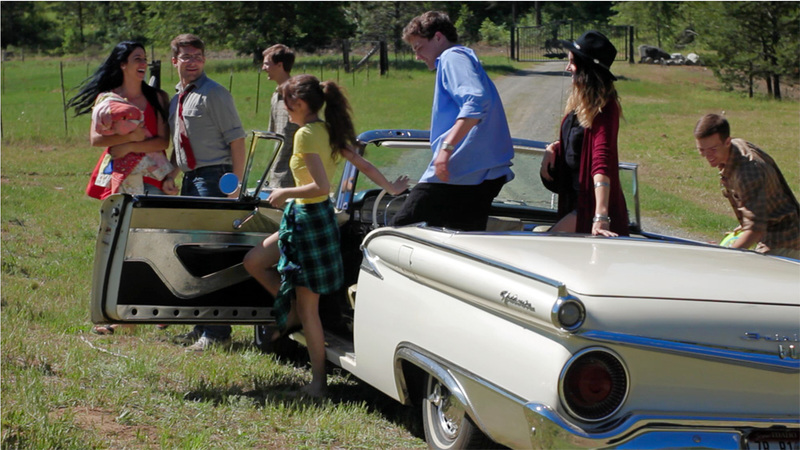 A frame grab from the footage that we shot in that location. For me, the whole idea of a good lighting design is to create depth in the frame and lead the viewer’s eyes in the direction you want them to look or follow. This means eliminating any overly bright areas, which immediately draw the eye to them, and taking some time to think about the finished composition when setting the initial lights. Lighting is pretty subjective and some may not like the plan I executed, but I am pretty happy with the end result. The initial design also served to light the close shots later in the scene with very little adjustment to any of the main lights. I hope you found this blog post helpful. If you did, please comment below and let me know. I may break down some other shots from GUTG if there is enough interest. One rarely has the opportunity to work on an low-budget independent film production where all of the pieces fall into place perfectly. Well… I recently had that experience and it was due to exceptional pre-production, close Director and Director of Photography communication/preparation, coupled with talented actors and crew who executed the scenes masterfully. But perhaps most important of all, was the respect everyone showed for what each other does, this really goes a long way when the temperature is rising and multiple takes are required for certain scenes. That may all sound like an easy thing to pull off, but it is not. For me, filming “Give up the Ghost” a short film by Robert Lindner was a wonderful experience that I will not soon forget. 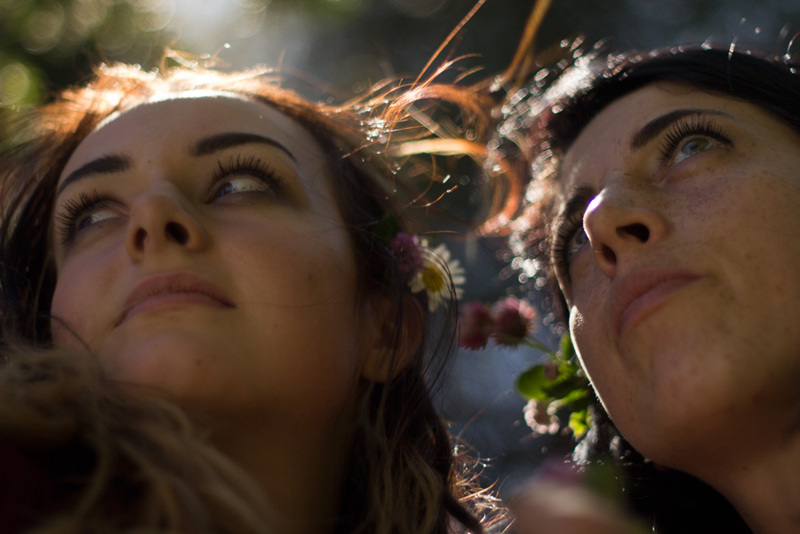 Watching the footage we shot during the four day shoot is magical (truly) and it still blows me away what we were able to capture in such a short period of time. The visuals stir me emotionally every time I see them and I can hardly wait to see what the rough cut looks like a few weeks. Being a perfectionist, of course there are things that wish I had composed or exposed differently, but the majority of the shots (95%) are exactly what I had hoped for and more. Allowing the creative process of filmmaking to unfold organically even though there are time constraints is a hard thing to do, but this is what makes for exceptional footage. There has to be time for the magic to happen, otherwise all you get is footage that falls flat rather than stirring visuals that move people in unexpected ways. One the technical side, I shot most of the film with a very shallow depth of field. I was often shooting wide open to achieve the dreamy look that the Director and I both thought was appropriate to the story he wanted to tell. 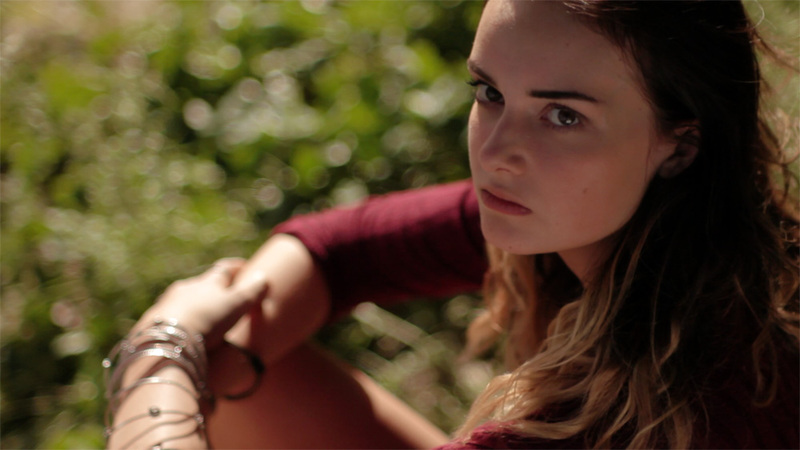 I also used vintage lenses to enhance, what I feel, is a very cinematic look. Shooting so shallow creates major focus challenges that can sometimes constrain movement within the frame and cause takes to be unusable. 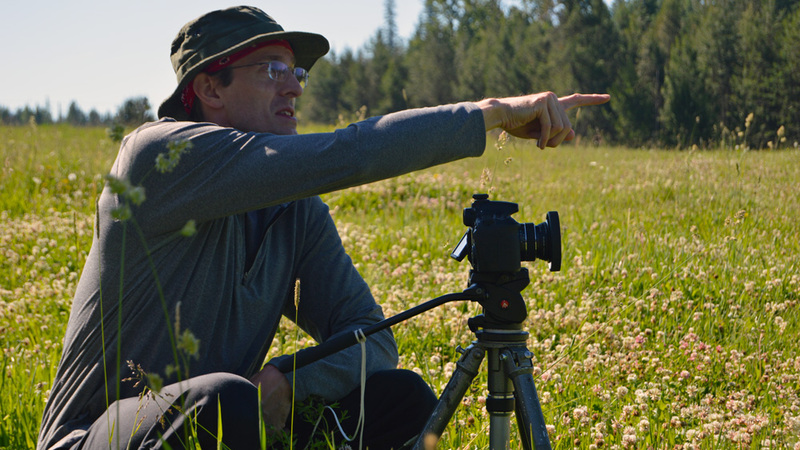 Having a dedicated focus puller would have helped some, but we made happen using a focus handle and… the Director and I even tag teamed some of the really complex shots to accomplish what we were both after. Another thing that made for a successful shoot was the fact that we were very nimble and not weighed down by a lot of gear. What do I mean by nimble? Well, a tripod and camera with variable ND and lens hood. Granted, some shots required more gear, but even then we still traveled very lite which made for gathering footage more quickly than would have been possible otherwise. Car shots can sometimes be problematic and very time consuming, but the Ronin-M made them much easier. I was able to pop out the sunroof of the Saab and shoot both as the lead car and chase car as well as inside the car without a problem. 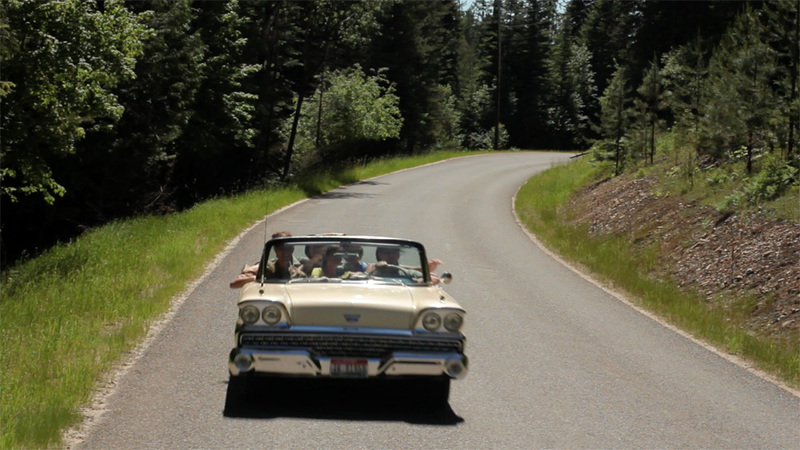 Speaking of car, a special thanks goes out to George Eskridge for allowing Rob the use of his beautiful classic Ford 1956 hardtop convertible for the short film. For anyone interested in the gear details, here is some information about the camera, lenses and gear that was used in the shoot. Camera: Canon 60D running Magic Lantern firmware hack. Tripods: Gitzo Studex (vintage French versions) with Manfrotto fluid heads. Dolly: Nautilus Tripod Wheels on metal conduit track. For those wanting to see the finished short film, be sure to attend the Sandpoint Film Festival on November 1, 2015 and vote for “Give up the Ghost”. To everyone involved in the production (wish I had all your names), you have my sincere gratitude, THANK YOU! !